We continue our nostalgia trip through the curiosities of LEGO® Seasonal offerings over the years, as a celebration of the 20th Anniversary of the first LEGO Advent Calendar. After visiting the Pirates Calendar, we continue to explore some of the lesser known themes in Advent Calendars. In 2004 a most peculiar Advent Calendar was produced. 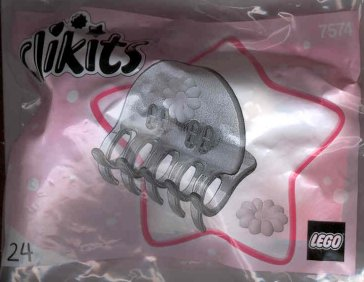 Yes, I’m talking about 7575 Clikits Advent Calendar. 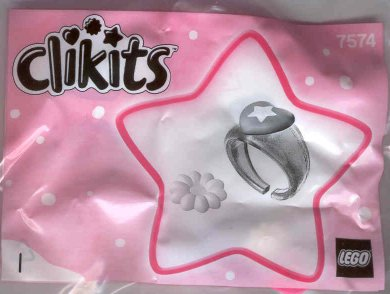 Aimed squarely at tween age girls, for whom constructible jewellery and accessories might be desirable, this set prodded 24 days of bangles, hair clips, gift tags and picture frames, culminating on December 24 with a case to carry the previous 23 gifts in. It would appear that each day’s present came in their own printed pack. 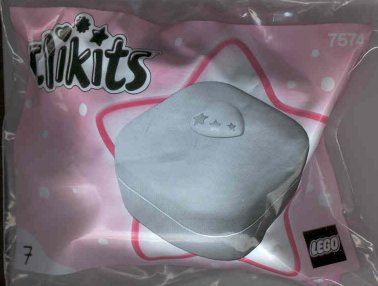 The calendar must have been a reasonable success because in 2005, another Clikits Holiday Calendar was produced- 7574 – this time with a more pink theme. Interestingly, neither of these calendars have been reviewed on Brickset. I also find it strange that none of these daily bags seems to contain anything pertaining to Christmas at all, but rather they are non denominational and non seasonal, with the possible exception of the winter clothing worn by the characters shown on the packets. 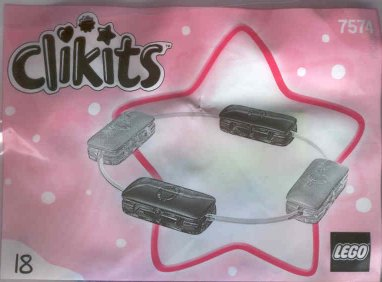 In 2004, a Clikits themed Holiday Decoration set was also produced. Allowing the production of mobiles, or pendants, decorated cards and picture frames, it appears to be one of the more niche Holiday sets ever produced. Window number seven shows a paintbrush. This is certainly artistic. could it be that today’s build has something to do with Emma? Certainly, the palette for today’s model reflects Emma’s Palette. We have a few plates, a few bricks and some rounds elements as well. I suppose you get the picture! What a neat little camera. I like the way the lens and flash are made, as well as the viewfinder and shutter release. Another day, and another nifty build. I wonder where the 8th of December will take us? Until then, play well!